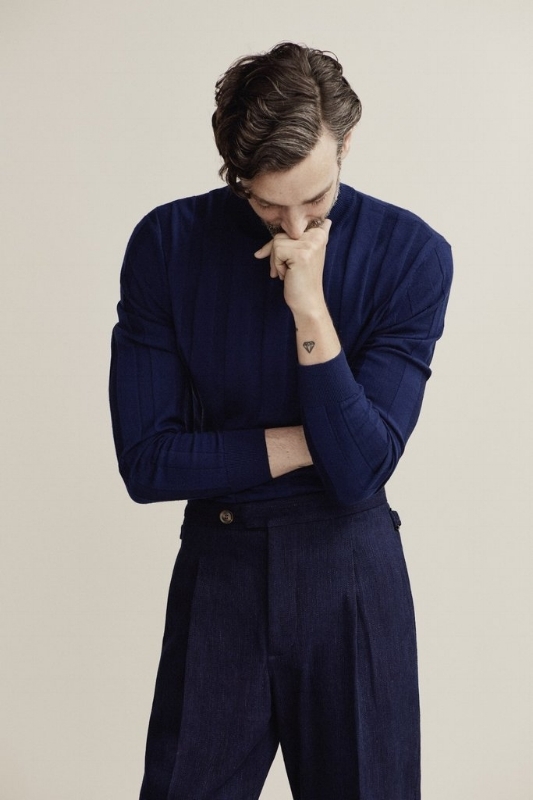 King & Tuckfield is a new menswear contemporary brand, founded by Stacey Wood just 3 years ago. Its signature aesthetic fuses a distinctly British 1950’s feel, with sharp contemporary styling inspired by the colourful stories of Stacey's family history. The design team is passionate with quality and sustainable materials, and their inspiration comes from the British fashion heritage and culture. They always love to mix everything that looks vintage with something that looks modern creating the new classic. 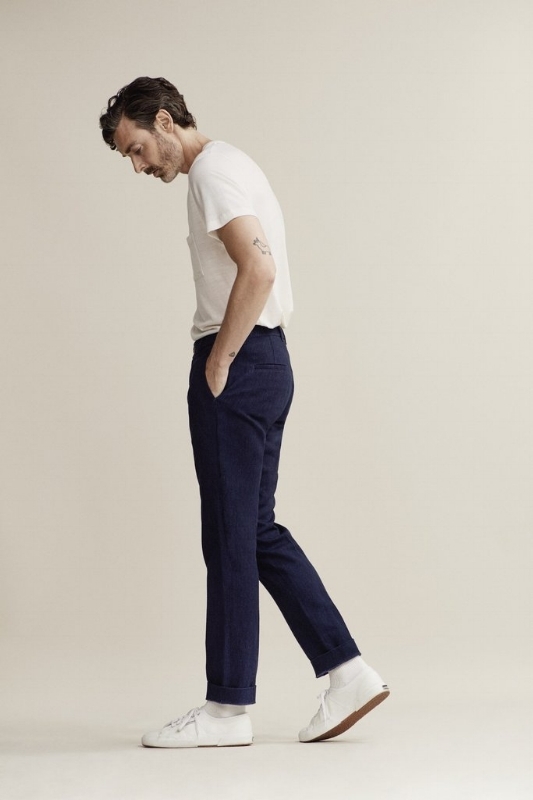 Model, Art and Style director, Richard Biedul joined that team to create his first 5 pieces-capsule collection and with these AW18 pieces makes his debut in the design world. The collection consists of pieces which everyone needs all the time and every piece seems to be ideal for your wardrobe. Richard mentioned "We've created almost an off-duty uniform… it is about comfort, it's about function and formality"
And it's actually true. Everything can go from casual to formal depends on the way you style them on you. Modern, elegant pieces that will always be in fashion. During this collaboration Richard has discovered a new found love for quality denim and has merged this new passion on his designs too. 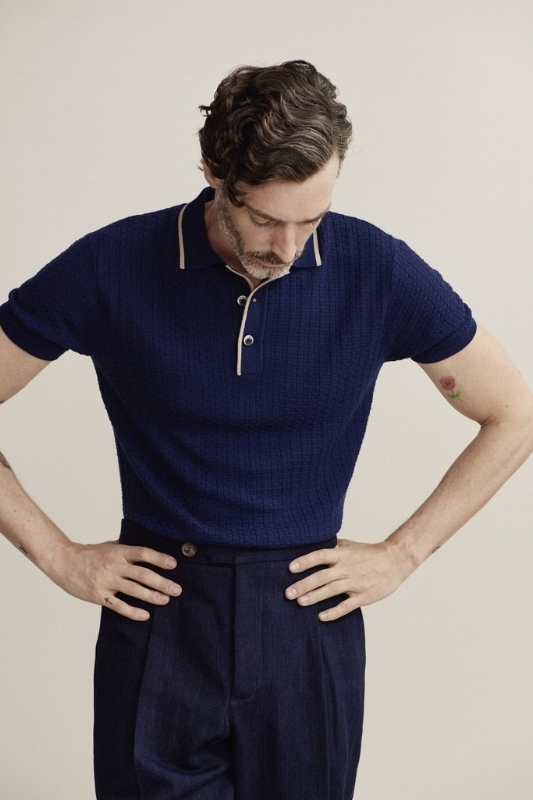 Focusing also on 100% fine merino wool in a bold spectrum of Navy, Fiesta Red and Clover Green, the collection is inspired with vintage references and a 1950's notion.